Win a membership to www.babysitters4hire.com! 2. Come back here and leave a comment telling us why you could use this site. Contest ends at 11:59 PM EST on Thursday, March 12, 2009.
are 3 and 8 years old. most successful online databases serving the United States and Canada. miscellaneous help for their specific needs and requirements. reference form and a sample contract. be given immediate access to nannies through email and phone. finding a quality nanny for their specific needs and requirements. received the Mom's Choice Award and was a Finalist for the Stevie Award. Since 1987, we have been helping wonderful families and nannies. Win a Red Satin Bow Band! Tell us a little about you . . . I am a SAHM with an entepreneural spirit! I love having my own side business (besides my full time job of being a MOM). My style is elegant, classy and very SASSY! I am very fortunate that I get to run my own business and have fun at the same time. I have 2 little cha-cha’s who are 6 and 2 and I enjoy being their Mommy. I have also been married 12 years now and my husband could not be more supportive and complimentary on all the things I choose to do! What is your business and where can we find it? We are Baby Cha-Cha Boutique (www.babychacha.com), an online store focusing on “oh so chic” children’s accessories & apparel. We are set apart from the rest because of our classic and elegant designs. Is it mom-owned, invented, created . . .? 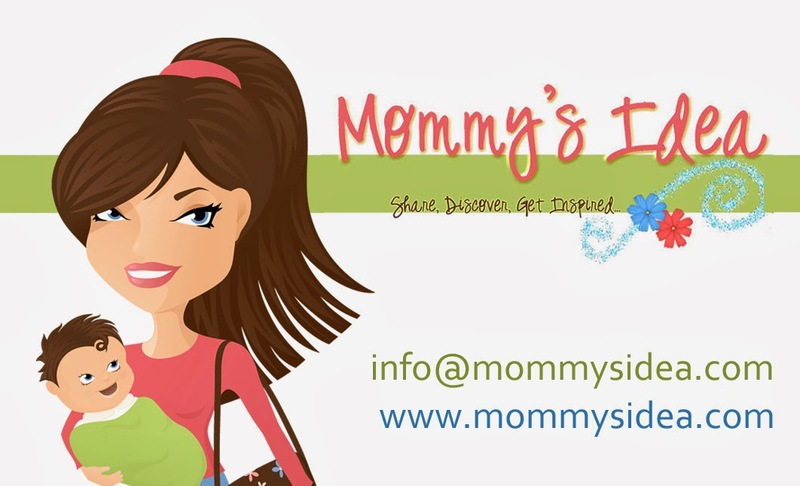 Yes, this is a mom-owned and operated business and all designs are exclusively created by me for Baby Cha-Cha. A little about your entrepreneur journey so far? Since the start of my business (almost 2 ½ years), I have received nothing but positive feedback from customers and many boutiques. My main business comes from other boutiques who wholesale from me and sell my designs. I now have about 50 stores in the US who carry the Baby Cha-Cha label including on-line boutiques and I also have retailers in Japan, Australia, Kuwait & New Zealand. The word regarding Baby Cha-Cha is spreading around and many retailers are starting to want to carry my line because of the quality, uniqueness and how easy it is to sell. I now also have a Co-op showroom in Atlanta America’s Mart and I am currently in negotiations to have my designs in another showroom in Dallas. All of this is very exciting and it is amazing to see how fast the line is growing and how much interest it is receiving. Where else can people find you? Right now you can just find me on-line and through other people’s blogs who love or review my site. I haven’t ventured into blogging or facebook yet…I’m still having a hard time trying to keep up with emails and voicemails. Anything else you’d like to share? I would love to offer all of your readers 10% off their entire purchase at www.babychacha.com when they enter code “OPEN” at checkout. Win Pomegranate and Sweet Berry Wine Olive Oil Soap! Contest ends at 11:59 PM EST on Saturday, March 7, 2009.
since than I did have a thymectomy ( removal of the thymus gland), and started taking mestinon for my muscles. I am taking 1/2 of the medication I used to now, I work out 3-4 time a week , very early in the morning, and I feel stronger than ever. I am hooked on creating, I love to listen to my customers, they give me ideas through their needs. Win a Daddy Diaper Changing Toolbox! Contest ends at 11:59 PM EST on Thursday, March 5, 2009. Julie and I are parents to three children Alex 6, Brodie 4, and our newest bundle of joy Sophia. Julie would like to spend more time with the kids so we started to brainstorm ideas to make opportunities for Julie 2 B a stay at home Mom. We wanted a business that would be fun and give us great pride. Not only is Today's Dad willing to help with late night feedings and diaper changes, he is willing to be a part of the celebration to welcome the arrival of your bundle of joy. Couples baby showers are becoming increasingly popular. Chris Hartsfield went to his first couples baby shower in October of 2007. At the shower, he was blown away by all the gifts given for the baby and for Mom but nothing for Dad besides his favorite beer in the fridge. Although Chris was happy to be a part of the shower, he wished that there had been something more to acknowledge and celebrate fatherhood. This inspired Chris to design the Daddy Diaper Changing Toolbox the box that changed it all. Chris wanted to provide Dads with a chuckle as well as arm them with everything they would need for their very first diaper change, and he did this with practicality in mind. All of the comic extras in the toolbox are actually useable, for example a functional toolbox and tongs for the grill. Chris put his ideas into action and collaborated with Julie Etzkorn to start Fun Stuff 4 Babies. Baby boutiques welcomed The Daddy Diaper Changing Toolbox with open arms and a good belly laugh. Annette Alexander of Smarty Pants Boutique in South Tampa said, The Daddy Diaper Changing Toolbox is fun way to include dad in all of the excitement that comes with preparing for a new baby. Bernadette Maccarone of Petite Elite in Brandon said, This product is long over do. There isn't much out there for Dad. It really does take 2 to raise a child. Fun Stuff 4 Babies is a family owned business, and the entire family was involved in developing the Daddy Diaper Changing Tool box from input from their parents to the assistance of their 6 and 4 year old in assembling the initial product. Chris and Julie couldn't have done it without the support from their family and have hopes that it is a business that will grow with them. We had some excitement last week, a Blog owner that did a write up on the Daddy Diaper Changing Toolbox personally gave a Toolbox to Ellen's staff when she went to the the Ellen show. We haven't heard anything but would love to be on the show around Father's Day this year. We love that we can bring a laugh to so many people and hear about their funny Poop encounters. Launch Party at Berries and Cream Blog Design! Berries and Cream Blog Design's launch party is live from February 14-28. Their entire store is on sale for up to 25% off, and a new prize will be added each day during the launch party. Check it our for yourself at http://berriesandcreamblogdesign.com! Win an Elemental Baby Custom Baby Memory Book! Contest ends at 11:59 PM EST on Thursday, February 26, 2009. Like many women today, I have a lot of roles in my life. I’m a Mom to two awesome kids, a boy 6 (and a half!) and a girl, 3. I’m a wife to a wonderful husband. I’m an entrepreneur because I saw a need. A friend, worker, daughter, and so many others. My business is creating custom baby memory books so every parent can have the book of memories that fits them perfectly. The web store also carries select items that can be personalized or are a true original ‘as unique as your child.’ You can find my business on the web at ElementalBaby.com. Yes it is….not that I can claim inventing the baby memory book, but I can claim improving on the concept. When I was pregnant with both of my kids, I couldn’t find a memory book that had enough “guts” or reflected who I was. So, after the birth of my second, I decided to do something about that. The result is ElementalBaby.com baby memory books. The books are a twist on the old standard. They are arranged by event instead of age, so whenever the important first happens, it can be recorded and commented on. The books have the many standard thought starters, but a few twists as well. For example, instead of the basic 1-page for ‘first bath,’ our books offer 4 pages of fun: “As you got older, you began to play in the tub…” “When you heard the water running…” “Your favorite bath toys…” “Funny things you did with bubbles…” “Your after bath routine…” “Your first shower…” And a follow-up of two pages for photos. The custom books take things a few steps farther by allowing choices of the style of prose, “Mom/Dad,” “Mommy/Daddy,” “Mother/Father,” two Moms/Dads or single parent. The absolute best feature of the custom book is the ability for family and friends to send messages for the parents-to-be and/or baby, as well as photos of Mom and Dad when they were babies. These messages and photos are woven throughout the book. I remember one book where a great-great-grandpa wrote a letter to the baby and shared his years of wisdom. This was something to be treasured. I’ve been fairly “slow” and methodical about journey. I’ve been creating books for a couple of years now, at first for friends and family and about a year ago branched out to the web. My absolute favorite part is “meeting” all the people I make books for and hearing their stories. I’m making a book right now for a single mom adopting a baby. Her family is so incredibly happy for her – in almost all their messages they talk about how she was meant to be a Mom. It’s so special knowing that I’m giving her the opportunity to have a memory book for her baby that fits her perfectly. You can catch up with me on my blog: http://cblog.elementalbaby.com/index.php. I seriously love making each and every book. I look forward to each one like it is a new adventure. I get to share in a very special part of someone else’s life, and that is a privilege. Win a Pacifier Clip from Blue Zoo Boutique! Contest ends at 11:59 PM EST on Sunday, February 22, 2009. I am a SAHM to my 3-year old son and I have a baby girl due in April. I love designing and crafting unique things. I am very lucky to be able to stay home, but also to provide unique items to other moms and moms-to-be. Monkey Tails pacifier clips are designed and made by me and they can be found on my website www.bluezooboutique.com where I sell other unique items made by talented moms. Mom-owned, invented, created, tested, approved, etc. We offered this product for a giveaway, but couldn’t give it away to everyone. So here’s a nice discount code for those of you who’d like to try it out! Use code Carvpj09 for 25% off.